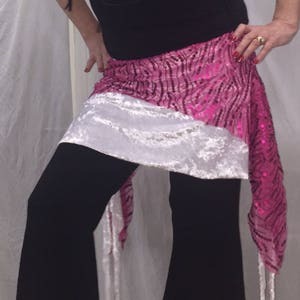 Tribal fusion bellydance skirt. 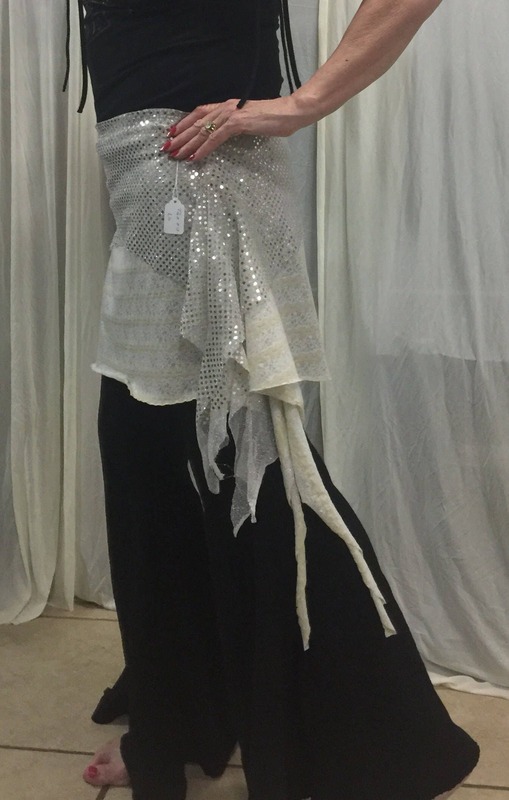 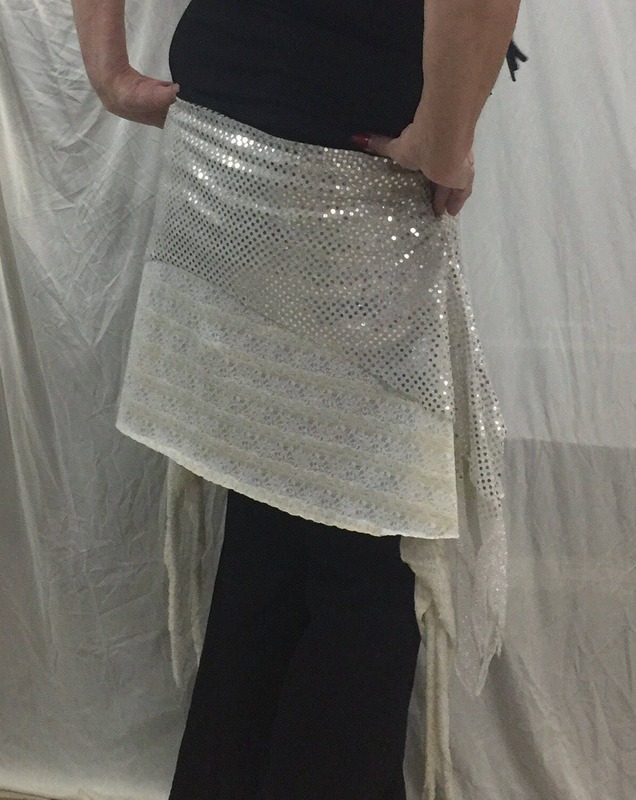 Overskirt is in ivory and silver colors. 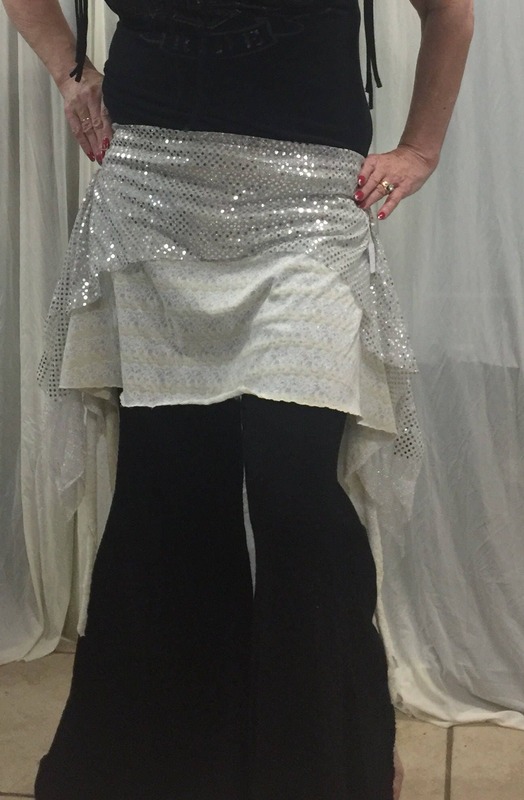 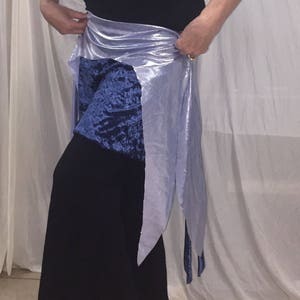 2 layered skirt fits LG 40-46” hips. 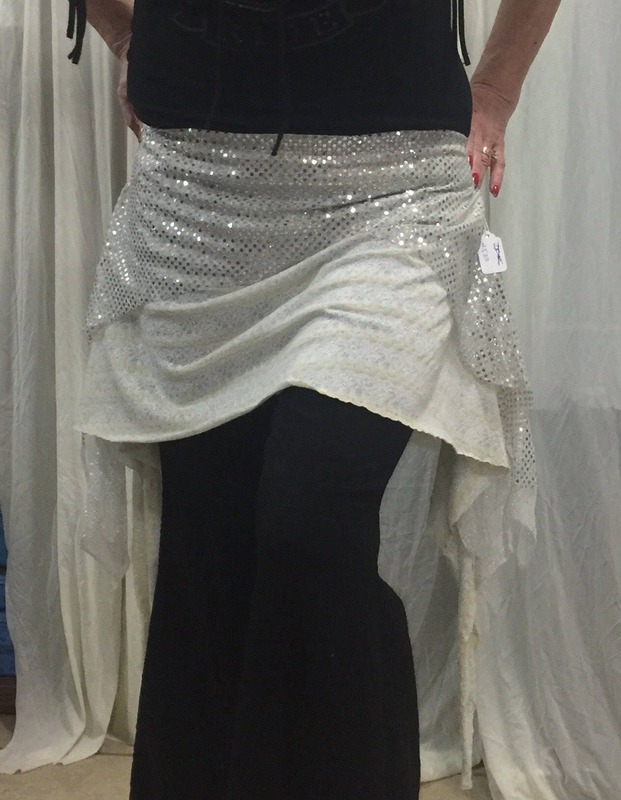 Top layer is silver metallic stretch with dot sequins. 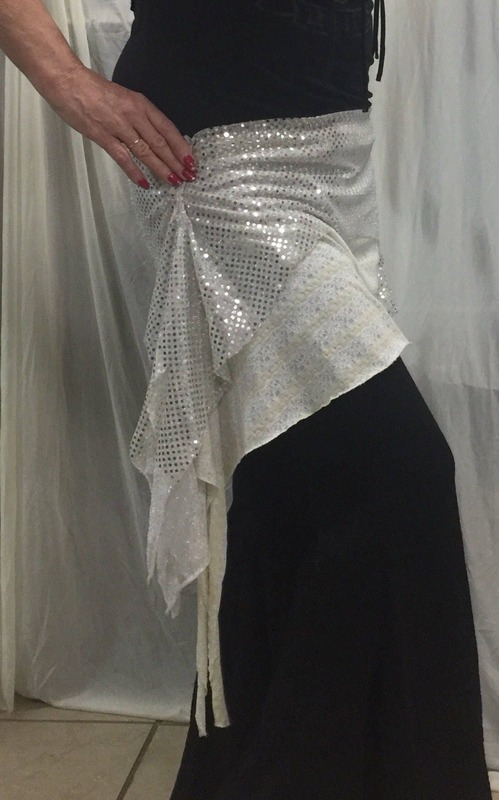 Underskirt is stretchy knit of ivory and light beige. 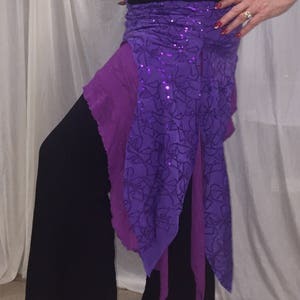 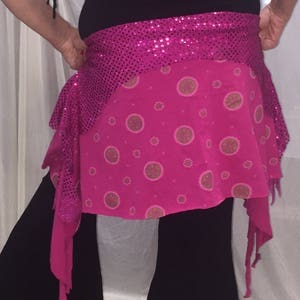 Great for bellydance practice and yoga class. 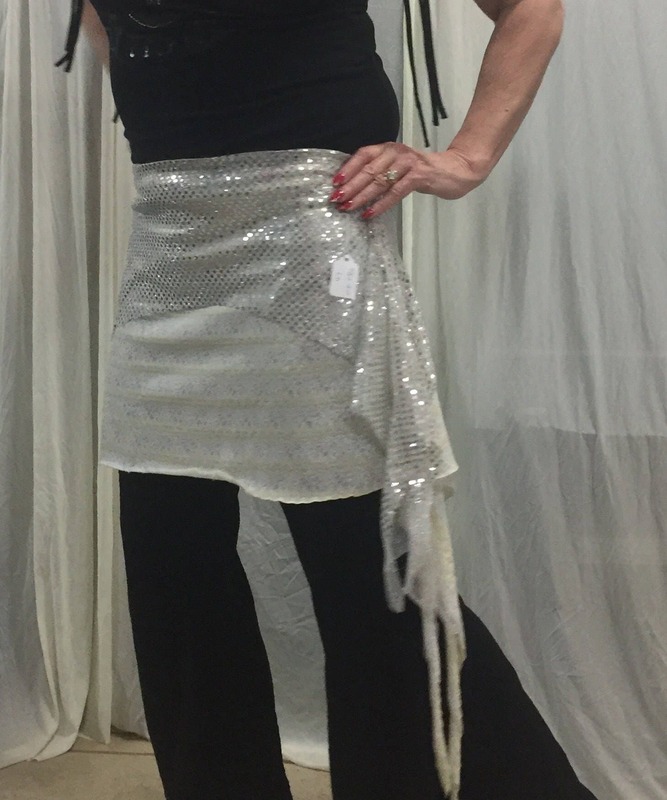 Sparkle up your exercise.